Obama turns his back on former Secretary of State. 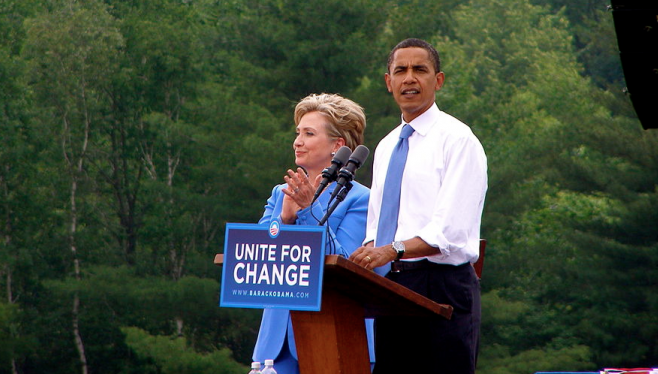 Hillary campaigned for Obama in 2008. Obama will not endorse a candidate in this year’s Democratic primary race. U.S. President Barack Obama will not publicly endorse a candidate before the 2016 Democratic primary election, White House Chief of Staff Denis McDonough said on Sunday. “We’ll do exactly what has been done in the past,” McDonough said on NBC’s “Meet the Press.” He said Obama will be “out there” campaigning after the primary election to help support the Democratic candidate.